WhatsApp has introduced a new feature called WhatsApp encryption in its latest update. WhatsApp encryption will secure your group chats and private communication.It will use end to end encryption to protect your messenger. With this feature, WhatsApp has become the FIRST MESSENGER TO INTRODUCE encryption. So What is WhatsApp Encryption? The basic reason behind WhatsApp encryption is to make your chat secure. Your chat will not be leaked or read by any third user. The only person that can read your chat is the person or group member that you send the message to. Your message cannot be hacked or leaked by any other user. Hence, WhatsApp encryption has made your chat private and more secure. 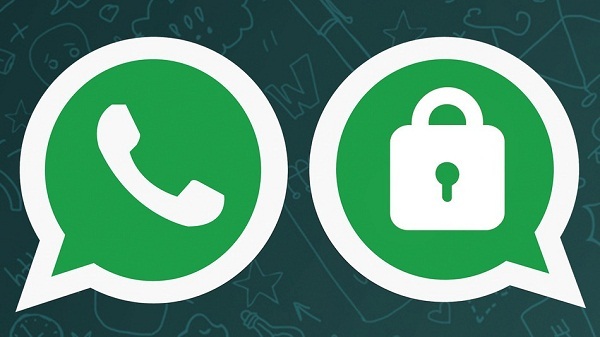 WhatsApp uses end to end encryption in securing your chat. This feature is designed by a company named Open Whisper Systems. End to end encryption means that your chat is secured in both the channels, that is the sender and receiver. Not only chats but your WhatsApp calls are also secured. According to the company ” Once the session is established, clients do not need to rebuild a new session with each other until the existing session state is lost through an external event such as an app reinstall or device change”. Hence, once the security details have been established between user and receiver, their chats will become private. Is WhatsApp Encryption really Necessary? It depends, whether you are a celebrity or you don’t care about your privacy. If you think that your text or Image chats can create a mess if leaked, then this feature is just for you. With recent leaks, it is better to be safe and secure. With this feature, it is clear that your chats cannot be leaked of misused by hackers. If you think that you are safer without encryption, then you are wrong. Recently, we have seen many examples of leaks and misuse of private data. Also this feature is enabled by default hence you just need to update your messenger. Just update your Browser and this feature will be enabled. You don’t have to do a thing. To enable encryption, scan the QR Code from your friend’s phone. If a green tick will appear, this means that your chat are now encrypted. If not then there is some problem with one of your devices. This feature is just been released hence you can find some bugs or connectivity issues. Does this mean that your Phone is now Secure? No, it means that your WhatsApp messenger is secured. All other apps or files can still be hacked or misused by any hacker. To secure your other files just install some antivirus. Always remember to install or download apps from Google Play or trusted external sites. Learn more about WhatsApp end to end encryption here. Let us know more about this feature by commenting below.